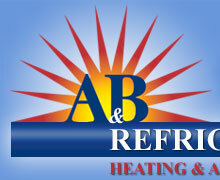 A & B Refrigeration, Heating, & Air Conditioning, a family-owned and operated company, has been in business for over 30 years, industrial and commercial refrigeration, heating installation and servicing, and air conditioner work, for businesses and industries in the southeast Michigan area. We have longstanding relationships with our customers built on years of reliable and respectful service, prompt attention to our customers’ needs, and accountability. We don’t offer anything fancy—just an honest day’s work, with quality outcomes, at a competitive price. Our customers value our work and call us again and again—to install new commercial and industrial refrigeration and HVAC systems, to service their existing systems, and to remove their older appliances to make way for new technology. And speaking of technology—when you call us to install or service your newest, top-of-the-line systems that use the latest technology, you can rest assured we know what we’re doing. We regularly participate in technology updates to learn about the newest products and parts and the most recently developed procedures in our field. Several manufacturers have named us as one of their designated installation and service companies. Our regular attention to the ongoing education of our staff keeps us informed and makes us as knowledgeable as necessary about any product that needs our attention. Everything we do—installing, servicing, renewing, repairing, removing—we couldn’t do any of it without our staff of technicians trained in refrigeration, heating, and air conditioner installation and service. We rely on our technicians to provide you with the most expert service and we think you should, too. 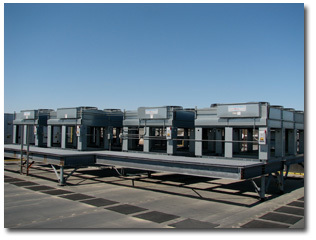 Our managers and field crews offer 200 years of experience in the refrigeration, heating, and air conditioner field, and each has years of training and experience working in the field. Many of our technicians have been with us from the very beginning, from the year our company was founded. All of our technicians have the knowledge and experience to tackle any commercial refrigeration, heating, or air conditioner work, regardless of how big the job is, what kind of work is involved, or how complex the issues are. Our A & B technicians are skilled, knowledgeable experts: they are certified by the US Environmental Protection Agency (EPA) and the North American Technician Excellence (NATE) program, and are members of the Pipefitters, Steamfitters, Refrigeration, and Air Conditioning Service union. Our technicians have successfully completed years of training through apprenticeships in the field and have passed certifying examinations in which they demonstrate their knowledge of applicable standards and the various skills required to complete their work. The A & B organization operates with excellent credentials: we are licensed and insured and we are members of the Air Conditioning Contractors Association and the Michigan Chamber of Commerce. 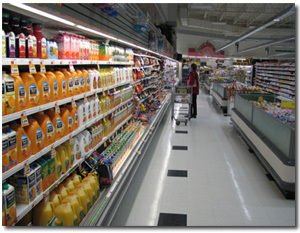 When you contact us about your commercial refrigeration, heating, or air conditioner need, we enter your request into our computerized database of services requested, models we service, parts we use, equipment we have on hand, tools we’ll need, repairs we’ve completed, service calls we’ve made, services we’ve provided, and businesses we’ve served. When you call, fax, or e-mail A & B for heating, air conditioning and refrigeration, our first contact with you is logged into our computerized history as the first entry at the beginning of a long-term relationship with your business. Our fully computerized, 24-hour system tracks not only your contact but also the service history and equipment needs of each of our customers, the location of our technicians, their progress in completing the day’s work assignments, and the refrigeration and HVAC supplies they’ll need and have used for each stop. We communicate with our technicians on the road using two-way radios, and our fleet of vehicles is equipped with a full complement of parts, so that even emergency repairs can usually be completed in the first visit. With our computerized tracking system and regular communication with our technicians, we can direct our personnel and fleet in the most efficient, economical way to address your requests promptly and satisfactorily. Our 00,000-square-foot warehouse, located in Dearborn Heights, MI, just west of Detroit, is amply stocked with an inventory of parts, bar-coded for easy identification and matched with manufacturers’ specifications for ready retrieval and use in all service encounters. In short, whenever you’re ready for us to call on you, we’ll be ready to answer your call! 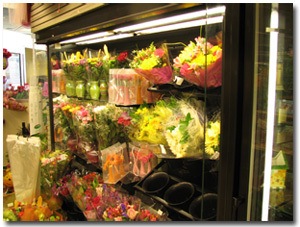 In short, when it comes to commercial refrigeration, we can do it all! When it comes to the HVAC systems you use in your business, we want you to consider us your partner. We know you will appreciate what we can do. A & B encourages regular maintenance for your HVAC systems and commercial refrigeration equipment to prevent equipment breakdowns and malfunctions and to extend the life of your appliances. 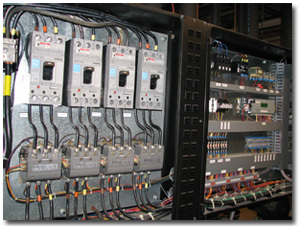 Let us sign you up for one of our preventive maintenance programs, so we can become your partner in maintaining your systems according to the manufacturer’s recommendations. We’ll provide you with a planned maintenance schedule that will cover the life of your equipment and help you protect your investment. And when you sign a preventive maintenance contract with A & B, you’re given preferred customer attention, regular visits, and top priority when your HVAC systems and refrigeration equipment need service. At A & B, preventive maintenance is carried out thoroughly and knowledgeably, by qualified and experienced A & B technicians. 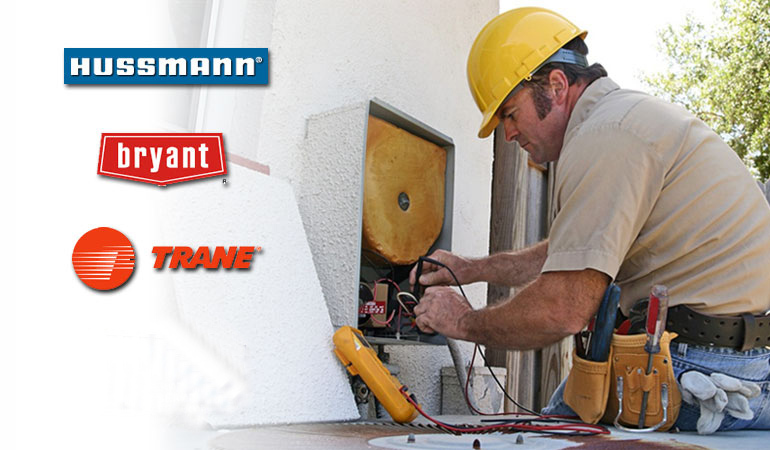 Be safe, not sorry, with A & B preventive maintenance. When you’ve made your decision about the type and model of heating, cooling, or refrigeration components you’re going to purchase, you can contact us directly to arrange the installation. We’ll arrange to be there when you take delivery, we’ll remove your old appliances, and we’ll install your new fixtures and stay until we’re sure they’re working properly. We’ll review with you the regular maintenance your appliances will need. We’ll arrange a preventive service/maintenance contract that can provide that attention, that will keep your appliances functioning at peak efficiency, and that will prevent unnecessary repairs—and the interruptions to your business—over the life of your appliances. If you’re unsure about investing in new appliances, we can help you assess your current appliances and project how much longer they’ll service your needs. If you decide to use your current machines a while longer, we can suggest services that will prolong their lives and new touches that will give them a newer look. We’ll help you get the most out of your investment in your appliances, assist you in making them last as long as they can, and advise you when it’s time to replace them. When you contract with A & B Refrigeration, Heating, and Air Conditioning, we’ll work so closely with you that you’ll feel like you have an in-house maintenance department devoted to the care and upkeep of your appliances. And why not? The cost of that extra attention from our experts in commercial refrigeration, heating and air conditioning will save you dollars in the long run that you can invest in newer technology to serve your own customers better.